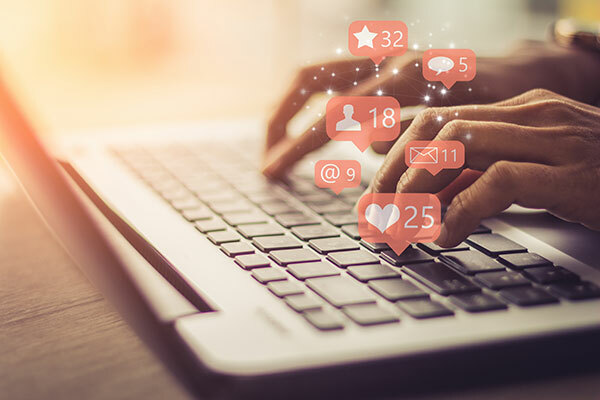 Front Row's President & CEO David Hamilton recently contributed the following guest article to BC Business Magazine, and we wanted to share this here with our community. 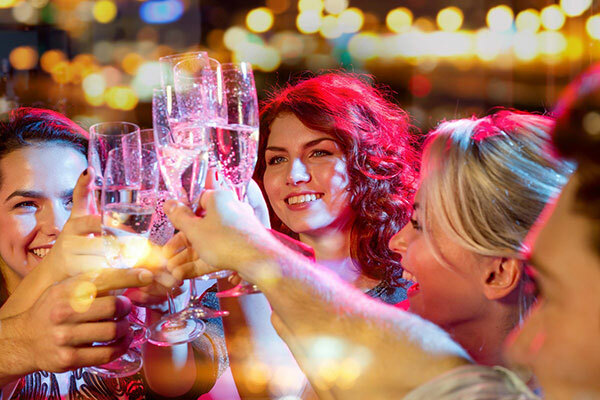 As many of you are gearing up to plan holiday events and parties, these tips will make sure you're prepared - even if the party gets a little crazy! CLICK HERE to read the full article at BC Business Magazine. Planning This Year’s Holiday Office Party? Here’s Why You Need Event Insurance. We’ve all had (or been...) that coworker who has a little too much fun and does something they fully regret the day after the annual holiday office party. If you’re on the event planning side of this year’s holiday party, you might want to consider special event insurance as you prepare for this year’s office shenanigans. After all, the holidays is about celebrating and relaxing, not worrying about all the unforseens that could go wrong if you don’t have insurance. Short term event insurance is designed to protect your event - whether it’s a conference, business party, festival or something else (for a full list of covered events click here) from ALL of the possible circumstances that might occur during your event that are beyond your control. This includes potential lawsuits caused by damage to the location you are renting or lawsuits that arise if your guests are injured at the event. Nobody plans an event with the intent of it going sideways, but any good event planner will tell you that they always have a backup plan in place in case things fall off the wagon. With affordable starting rates and policies that can be purchased online in just five minutes, what better reason do you need to make sure your next event is covered in the case that any accidents happen? Location matters – If you’re planning a holiday office party, chances are you won’t be doing it at a park or outdoor venue in the dead of winter. However, if you’re hosting it at a third-party venue or on municipal property, event liability insurance is pretty much always required - especially where alcohol is involved. Think you’re in the clear if your boss is hosting it at her mega-mansion? Think again. You’ll want to double check her homeowner’s policy because parties of a certain size are often not covered - again, especially when alcohol is being served. First-aid – Speaking of which, it’s all fun and games until somebody gets hurt! Protect yourself against staff injuries or a staff member suing you in the case of a bad injury. Holiday party liability insurance will cover you if you are sued by an employee by providing a free lawyer to defend you and paying the judgement costs awarded to your injured guest. Serving it right – Booze and the holidays usually go hand in hand. If you’re planning to serve alcohol at your office party, you’ll need to purchase one day liquor liability insurance. One way to get around this? Hire a caterer who will serve alcohol for you. But even then, make sure you have all your bases covered so that your liability is kept to a minimum. Regardless of where, when, and how your next holiday party comes together, always keep your guests - or in this case, your staff - top of mind. Their safety is best managed with the proper special event insurance. About the contributor: David Hamilton is President of Front Row Insurance, one of the world’s largest entertainment insurance brokers. Front Row offers event insurance with no need to talk to a broker. Policies start at $130 and certificates proving insurance coverage for your rented venue are provided immediately at no cost. To get a quote online, in under 5 minutes click here! Your venue welcomes the world. Whether it’s an audience of ten thousand or something more intimate, you open your space to the public, and to the people who know how to draw a crowd. This, in turn, exposes you and your venue to certain risks that can be managed with the right kind of venue insurance. Whether you need stadium insurance or community theatre insurance or amphitheater insurance or auditorium insurance or concert hall insurance or insurance for an outdoor stage outdoor stage, you are responsible for the safety of the public and performers and you could become liable if someone is injured at your venue. You also have to be concerned with potential damage to property, performance cancellations, the care and conduct of your employees… then there’s all the stuff you never could have predicted! The characteristics of the building where it all happens. When it comes to risk, we’ve got the best seat in the house, and we can help you see your exposures from every angle. That means you can confidently welcome the world’s best, brightest, and craziest–whatever the world throws at you, you’ll be ready! What are DICE Insurance Policies? 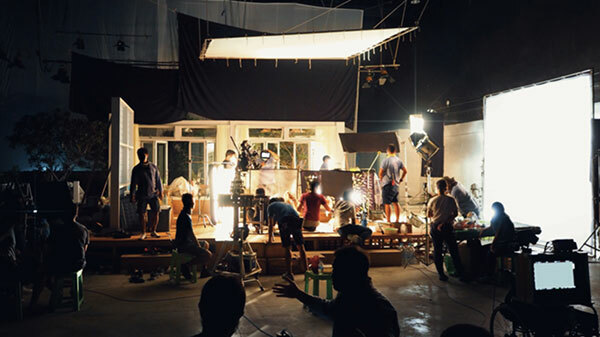 Many film and video companies engage in multiple productions throughout the year. These types of companies, known as DICE Producers (Documentaries, Industrial Films, Commercials and Educational films), benefit from an annual insurance policy known, conveniently, as a DICE Policy. Somewhat like an annual travel insurance policy that covers all the trips you take in a year, a DICE insurance policy will cover all the productions you undertake in a year, so you don’t need to keep re-applying for insurance for each individual production. This gives DICE Producers the freedom and flexibility to provide certificates of insurance and lock locations at a moment’s notice (many municipalities require $5 Million in Commercial General Liability to secure a film permit). An annual policy also means you only have to think about the insurance once a year, and unless you’re insurance nerds like us, once is probably enough! There are some limitations: a DICE policy won’t cover feature length films, productions with shooting periods over 90 days, or TV series, episodes, or specials. 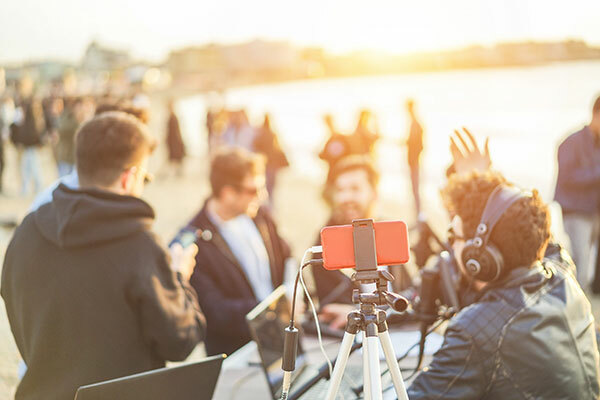 But it will cover productions like short subjects, music videos, and photo shoots, along with the DICE staples—virtually everything except feature films and TV series. The policy premium is based on your actual annual gross budgets. Coverage is purchased with a deposit premium that is based on your provisional, estimated annual gross production costs (say, you expect to do $500,000 that year). Then, at the end of the year, you report a final gross production cost and the premium is adjusted up or down accordingly. If you weren’t as busy as you had anticipated, the unused premium is refunded to you, or, if business was booming and you did better than expected, you can pay for the additional coverage used at the end of the year. This means you’re only paying for the insurance you actually needed during that year. 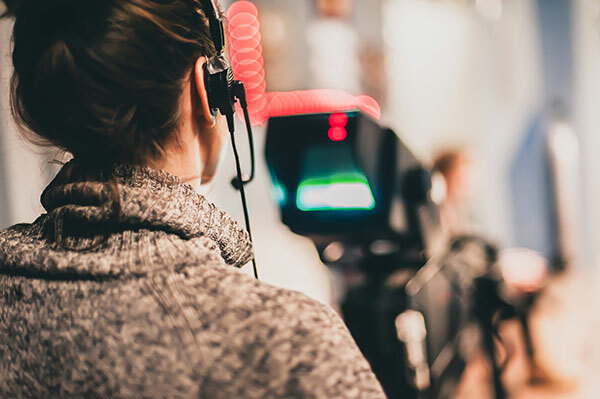 Our DICE policies have a minimum annual gross budget of $220,000 and no upper limit, so whether you’re just starting out or a seasoned pro, Front Row’s DICE Policy can be tailored exactly to the needs of your production business. Visit the Front Row Insurance Website for more information or a fast, free no obligation quote! Theft from a vehicle: Is my equipment covered? For professional photographers, the world is their workplace. They need to be able to pick up and go wherever—and whenever—the light is magic. That means they’re travelling with valuable equipment, and that means, theft from a vehicle is a serious concern. Did you know some insurance policies don’t cover theft from a vehicle? Crazy, right? 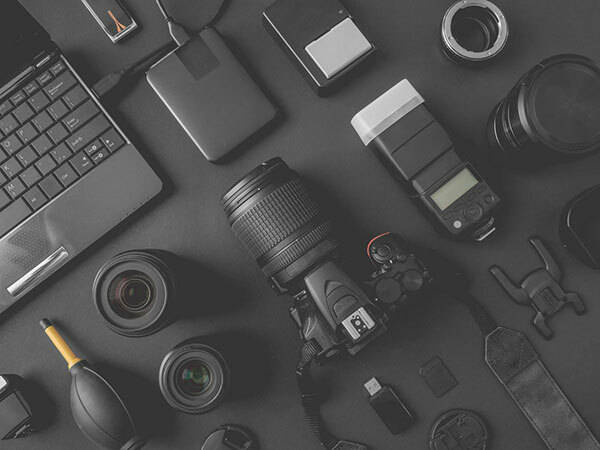 At Front Row Insurance, our Photographers insurance program WILL cover your equipment if it is stolen from an unattended vehicle, but with some important conditions. The vehicle had to have been locked. There needs to be visible evidence of forced entry. You need to file a police report. “Hold-up” (as in, “stick-‘em-up!”) is also covered under our policies, so if someone forces you to unlock your vehicle using threat of violence, you will still be covered. But again, you need to file a police report. Understanding these conditions prepares you to understand how your Photographer’s insurance policy will (or won’t) respond in the event of a theft from a vehicle. Remember, even with camera gear insurance, it’s better if your gear never gets stolen in the first place! Insurance is just one tool you have to protect your business from losses, but you should also be practicing good risk management. Don’t leave your gear in an unattended vehicle if you can help it. Use good judgment when choosing locations and parking spots. Keep your gear in the trunk or out of sight. Travel lean – only bring with you the gear you know you will need. You can also purchase Commercial General Liability with our Photographers policies. Photographer liability covers property damage and bodily injury that you cause while shooting on location or in a rented studio. It can pay for legal fees, too. You can get a quote online in 2 minutes that ensures industry-low prices. Click here to get started. Planning a Garden Show? You need garden event insurance. Planning an annual flower show, competition, plant sale, or garden tour? You should consider getting Garden Show Special Event Insurance. Gardeners know better than anyone that events can be unpredictable. Disasters strike even the most careful and diligent gardeners. That’s where insurance comes in. Having the right Garden Show insurance policy protects you from those unforeseeable dangers and gives you peace of mind—not quite the blissful serenity of a well-tended garden, but close enough! 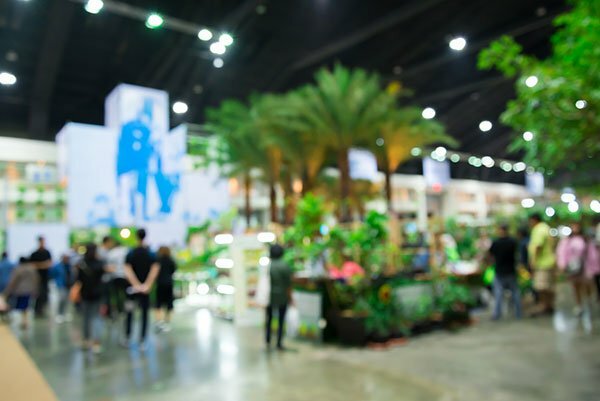 Opening your garden to the public or hosting an event brings its own set of challenges, which is why most rental venues will require you to carry Event Insurance. Often, this will be stated explicitly in the rental contract, including the liability amounts required. Garden venues want to be protected in case your guests damage property or someone is injured at your event and tries to sue. If you are renting equipment, like a sound system, tent, or a marquee, you will also want coverage in case that property is damaged. If your organization is hosting a garden event at a private residence, the homeowner’s policy likely will not provide adequate insurance. Parties of a certain size may be excluded. 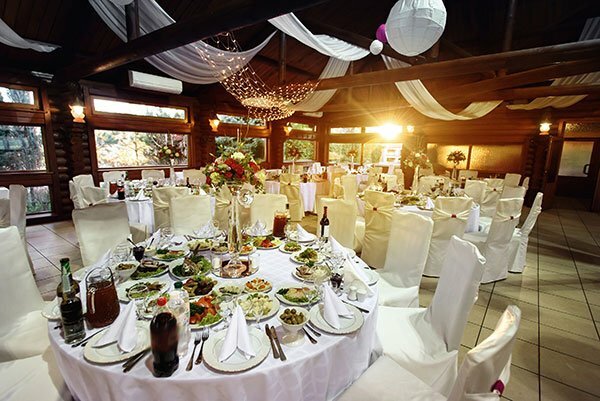 Your organization will need to have Event Insurance in place in the unlikely event that a guest is injured. That stone walkway or water feature might look lovely, but it could also be a tripping hazard! One day garden event insurance is inexpensive and available online with no need to talk to a broker. Policies start at $130 and at no additional cost certificates can be provided to your gardening show venue that prove you are protected. A quote is also free, fast, and available any time of the day or night. Click here to get started.